Should You Pay Off Your House? Should you pay off your house? The answer depends on your particular financial and lifestyle situations. Your mortgage loan is probably your largest piece of consumer debt. It is also probably the longest term debt in your financial portfolio. Paying off your mortgage can have its advantages depending on your age, your cash flow, and your feelings about debt. To make a decision that makes the most sense for you, carefully evaluate the advantages and disadvantages. Reduced interest rate stress - Whether you have a fixed rate or adjustable rate mortgage, you will no longer have to be concerned about the rising and falling interest rates and how they might affect the monthly payment on your mortgage. Satisfaction of being free of mortgage debt - You will no long have to budget for, or worry about, paying a monthly mortgage payment. More cash for investments - The money you save on a mortgage payment can be invested in savings and retirement accounts. You can stop paying interest, and start earning interest. Achieve retirement goals - If you pay off your mortgage before you retire, you will not have to pay a mortgage out of your retirement savings. You will have more cash to meet your living expenses. Debt-free asset for your heirs - Your heirs can receive the full value of your home without having to assume or pay off a mortgage loan. Loss of tax savings - Interest paid on mortgage loans can be tax-deductible and can result in major tax savings. The higher your tax bracket, or the more years you have left on your mortgage loan, the more you lose in tax savings. Loss of investable cash - If you use your cash to pay off your mortgage, you may not have cash available to take advantage of investment opportunities. Should you pay off your house? The answer really depends on your particular financial needs and lifestyle situation. If you can pay off your mortgage and still maintain a comfortable level of savings and investments. If you are paying a higher rate of interest on your mortgage than you are earning on your current investments. If you are no longer getting significant tax savings from your mortgage interest payments because you have less than 10 years left of payments on your 30-year mortgage. You are in a low tax bracket and you don't receive much of a tax deduction for your mortgage interest payments. You are planning to move to a lower-valued home and you have the chance to sell your current home and pay cash for the new home. You have high credit card debt that you can pay off instead of paying off your mortgage. You have more than ten years before you retire. Your primary financial goal is currently to save and invest as much as possible. Your income is sufficient and your job is secure enough to comfortably pay the monthly mortgage payment. Your mortgage has a prepayment penalty. Check your mortgage documents for details of any prepayment penalty. Be sure to compare the amount of the prepayment penalty and any lost tax savings against the money that could be earned if the mortgage was paid off and the money was invested instead of being used for future payments. 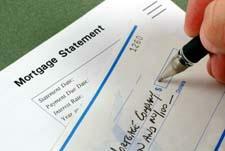 Deciding whether you want to pay off your mortgage really depends on your particular situation. You need to evaluate both the financial and the psychological factors involved.If you decide that a total payoff of the mortgage doesn't make sense for your situation, you might want to consider accelerating your mortgage by making larger payments on the loan's principal. This will reduce your total mortgage debt, while still potentially providing the tax advantages of mortgage interest.